Coral Stone Architectural Elements are a designer’s most sought out resource for contemporary and modern solution of interior and exterior design. A nice Fireplace or a cornice would add beauty to your residence and will give you a value that would last a lifetime. We are able to manufacture in Coral Stone and in Travertine of 3 different colors, any element imagine by the architects and/or designers. 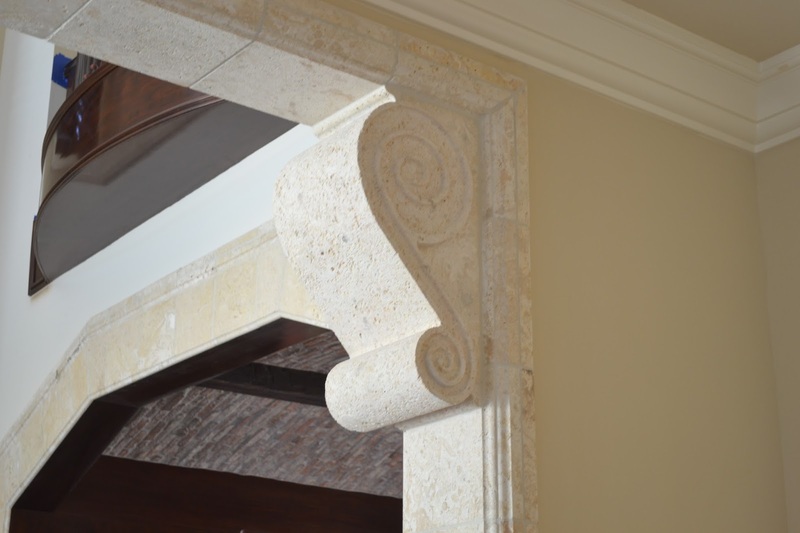 Columns, trims, mosaics, moldings, balustrade, baseboards, curved pool copings, sculptures are only some of the elements that could be carved out of natural coral stone. Using coral stone columns, trims, etc. will add value to your project and will magnify the beauty of your design. If needed, LMT International would assist your projects best investment in these elements. LMT International would be able to assist you in selecting an installer for project and if your project is in the Caribbean, we would be able to assist you in all the stages of the your ideas, including installation. Need to keep a budget, NO problem, with our different solutions and array of pricing, the elements can be adapted to your budgetary needs.